Why don’t you show any appreciation for Middie? I think everyone would want to see photos of Middie! I would love to show everyone photos of Middies. I have shown some photos of Middies that I’ve taken that belong to others, but as I tend to be the photographer for most of the photos on the blog (interviews not withstanding), I don’t actually have a Middie of my own to photograph at this time. Once I do get my own Middie, you can be sure that I will take lots of photos and do posts about Middies. If you’d like to gift me a Middie, I wouldn’t say no! 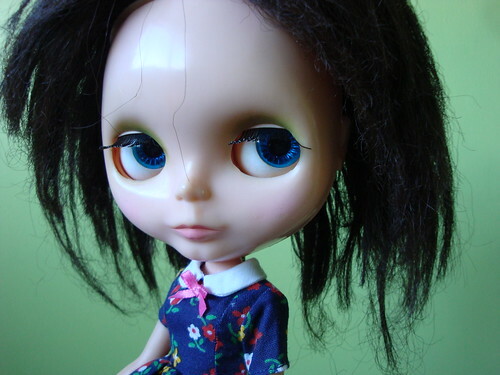 Are you one of those snotty collectors who only collect the expensive Blythes? For one, I take issue with being considered ‘snotty’… Secondly, ‘expensive’ is a relative term. 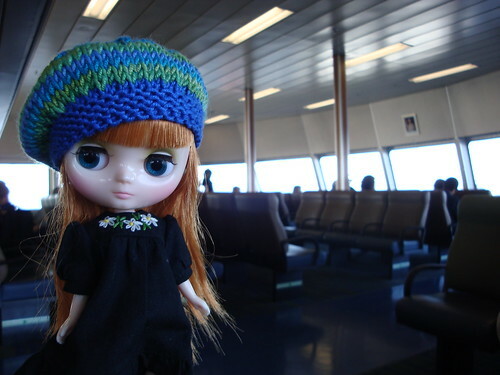 When I first started in the doll hobby, I thought the cost of one Blythe was pretty expensive and I couldn’t see myself ever spending over $500 for a doll (please note, this was before I got any of my Kenners). So depending on what you consider “expensive” to mean, yes I may be one of those collectors who only collect expensive dolls. However, if you were to comparing me to someone who only collects art dolls that go for $2500 each, my collection isn’t that pricey after all. So I’m not entirely sure what the purpose of this question was, but no – in the grand scheme of things, my collection actually isn’t worth that much. It doesn’t cover tuition for a term, so that’s considered “low” for me. What do you have planned for 2013? Are we going to get to see the results of your survey thing? I do plan on sharing some of the significant results from my survey (if you haven’t already, you can still fill it out!). As for what I have planned for the blog in 2013… If I told you, it wouldn’t be a surprise now would it? I do have a lotof things planning for 2013 and I’m very excited for 2013 to begin as I have a lot of fun things that I want to show you all! Why do you only post three days a week? Can you post daily? I’m not aware if you all know this – but I don’t actually get paid to do this. Money that I make from people advertising on this site go towards the cost of keeping the website up on the internet (hosting fees). I generally write the posts in advance, editing as I need to keep the information current. However, it takes a lot of time to write posts that are meaningful, fun and somewhat fresh or witty. I would love to be able to devote more time to the blog, but I am a full time student right now and that means a lot of hours in school and a lot of hours doing homework and studying. As it is, sometimes it’s hard for me to get three posts up per week, much less five! If you’d like to help out though, I’m always open to contributions by visitors. Can you tell me where I can find the $2 Kenner Blythe dolls? If I knew where to find $2 (of most any currency) Kenners, I’d be buying them for me and maybe sharing them with some friends. Maybe. (The sad thing is, this is not the first time I’ve had a similar question – although usually the amount mentioned is more like $50 or $100.) I don’t know why people think I know where the bounty of cheap Kenners is, but Kenners just are not cheap unless you’re super lucky and at the right place, at the right time or you buy an abandoned storage unit full of dolls from the 70s. Other than that, I have no idea where you can find super cheap Kenners. What do you mean you wouldn’t pay full price for a girl like me? If you have any questions for me, you can send them to michelle@blythelife.com. Don’t we all wish we could find the illusive $2 Kenner! People really ask you these things??! Oy vey!